Welcome to Issue #93 of the Bootleggers Buzz! First of all I’d like to apologise for publishing the rather harassing article of last week. I did not read the entire article and therefore I missed the harassing part of the article. I am completely responsible and therefore it was my mistake. I do not accept such a content in the Bootleggers Buzz and therefore I immediately took action by informing a Moderator to delete it. My sincerest apologies to all the players who were harassed by this content. That being said, let’s continue with this week’s Buzz, because we got some amazing articles for you! We have a very interesting article written by our Moderator Aldarion regarding a discussion of a possible reset. This week the Elite Guard had a meeting to discuss various things and of course a possible reset was a subject of this interesting meeting. For more information regarding a possible reset, read more inside! Anything else happened this week? We witnessed an update of the Profile page and a new Feature; a Referral System. It seems Bootleggers has finally started advertising! In this week’s issue there is a column about the new referral system, make sure you comment your own opinion below the comments of that article! Of course we also witnessed some shooting this week. No massive firework, but an impressive shooting of Shinji, the Michigan State Don. He shot various crewless players and shot Hells Den. He did not succeed in dropping their crew spot at his first attempt, but the next day he was able to finish the job. I believe that is entire summary of events this week! Do not worry, we at the Buzz have way more stories for you to read! Cyph was able to write a very interesting article regarding the action which have to be taken by a reset. Oh and before I forget, he had some questions for the one and only BSF2000. Since we at the Buzz are fantastic BSF2000 had some time for us and he answered the fancy questions of Cyph. Definitely worth the read! Next, we have an amazing column written by Voluns regarding the Hospital feature and, as always, the weekly amazing articles. Last, but not least I’d like to thank all the players who wrote a freelance article this week. We received two awesome comics of the one and only RatFaceRay and we also received two interesting columns. We at the Buzz always appreciate those freelance articles, so keep them coming! 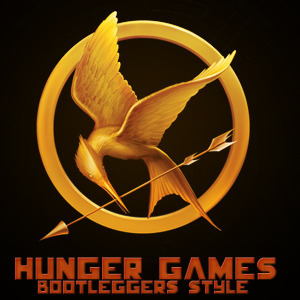 Voila, another awesome Bootleggers Buzz for you. We hope you enjoy this issue and in case you have some interesting suggestions for the Bootleggers Buzz, you are more than welcome to message us and share those awesome ideas. Enjoy this week’s issue and have a good Sunday! Open the Game Forum at any random moment of the day and chances are that you’ll run into a topic discussing a reset. The main question: should it happen now? Here at The Buzz, we want to clear things up regarding one of the most talked about things on the Game Forum, A Reset. Disclaimer: This article contains a reply from BSF2000. Worth the read! Have you ever lost health and been unsure about going into the hospital for a long period of time or using points? Or have you wondered if there could be more options? Time to discuss some here! A depressed man goes to see his therapist for advice about women trouble! This week the Update button finally turned yellow again. A new GTA V update or a new crew feature? Hell no, Bootleggers has officially started advertising! A new feature has been launched, named; A Referral System. You can now receive rewards for when you invite friends of yours! Check out the Profile page for more information! This week we witnessed the wipe of Hells Den, performed by Shinji. He did not succeed in dropping their crew spot at his first attempt, but the next day he was able to finish the job. Money, money, money. All you hear in this game is money. When you're poor you want it, when you're rich everyone asks for yours. But why is this such a big matter while there are so many other things to do in the game without money. And if you're hungering for the crisping gold, why not make it yourself very easily? Bootleggers and gambling addiction... Could you be a victim? A special thanksgiving comic by RatFaceRay!